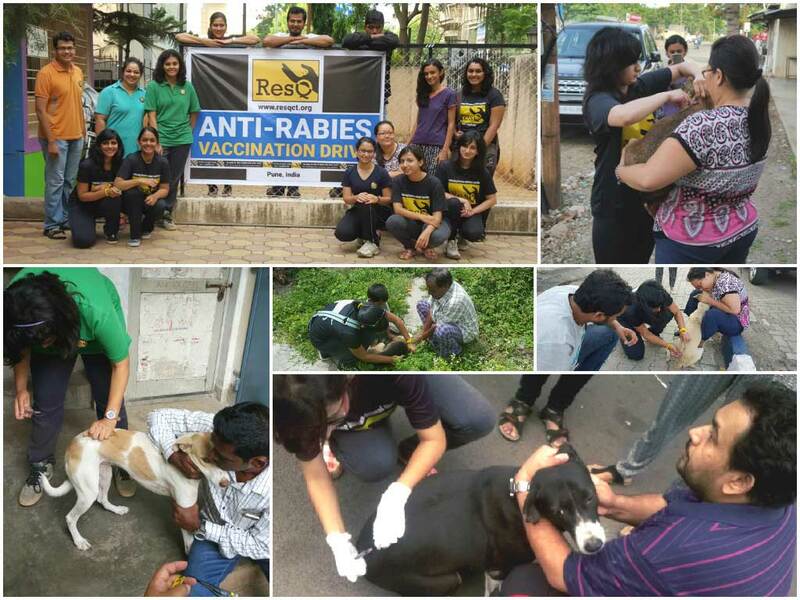 Today, RESQ vaccinated 117 street dogs against Rabies in the World Zoonosis Day-Anti Rabies Drive. We covered Aundh, Baner, Pashan areas from 6:30am – 11:30am. All the dogs vaccinated were banded by us using our month-wise colour coding system for vaccination. The band also has our number on it for people to call if they see it injured or need help. It also states in Hindi and English that the dog has been vaccinated against Rabies. A big thank you and cheers to all the volunteers, dog feeders and our team which made this drive such a success!